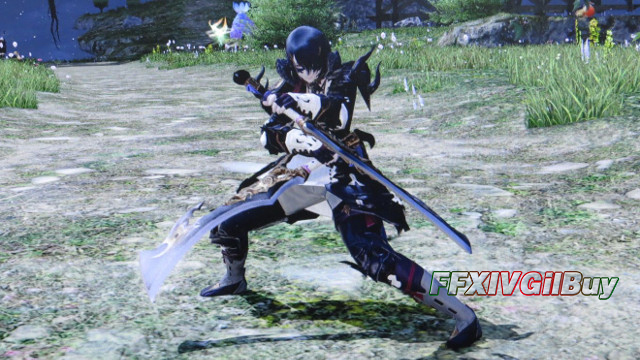 What can you do at Level 50 in FFXIV? Have you ever though what can you do when hitting level 50? This guide is to list somethings when you reach level 50. Firstly, you can do the Hard Mode Primal battles. You can get level 60 weapons from Ifrit, level 70 weapons from Garuda, and level 80 weapons from Titan. Before you can do the relic weapon quest, you have to defeat Ifrit, Garuda and Titan. And you have to defeat all the three Hard Mode Primals before you can run any of the Extreme Mode variant. When you enter the Extreme Mode variant of Garuda, you can get high level accessories from the three main Extreme Mode Primal battles. Then you can get access to Hard Mode Leviathan which drops level 95 weapons and shields that can be upgraded to level 100. If you try to get a relic weapon, the Hard Mode variation of Thornmarch is a pit stop. You can get level 75 weapons from it and these weapons are better than those you can from the Hard Mode version of Ifrit and Garuda. Besides, you can get level 100 neck pieces from the Extreme Mode thornmarch along with your level 100 weapons from Extreme Mode Leviatan. Relic weapons start at level 80, and can be upgraded to level 90. You can start to upgrade it once your relic weapon reaches level 90, which is your main task when hitting level 50 as you have to complete the initial quest. You must defeat the Chimera, Hydra, the Hard Mode versions of Ifrit, Garuda and Titan, then collect 900 Mythology Tomes to upgrade it. If you feel difficult in completing the Extreme Mode Primal battles, or you want to spend your Myth Tomes on main armor instead of accessories, you can try to get level 80 rings and necklaces from the Ultima's Bane battle which is more difficult than the Hard Mode Primals, but easier than the Extreme Mode variants. It’s also easier, since the most recent patch introduces Leviathan. Then you can run some various level 50 dungeons which you can get level 70 Darklight gear and Myth Tomes that can be used to buy level 90 gear and Soldiery Tomes to purchase level 100 gear. Also, you can run through the Crystal Tower to get level 80 gear. The first Binding Coil of Bahamut drops level 90 gear and a level 95 weapon, while the second Coil drops level 110 gear and a level 115 weapon. You can try all of the endgame dungeons from the first and second Coil which are useful for gearing up for Coil runs. Once you complete the first Coil, you should be geared enough to run through the Extreme Mode Primals and start the second Coil. The second Coil offers the highest level gear in the game and is currently the most challenging dungeon available. Hope this guide can be helpful for your leveling! If you want to buy cheap FFXIV Gil, FFXIVGilBuy can provide huge stock of FFXIV Gil with best customer service and instant delivery!